1st Batch - Applications Closed! Will announce any new development for the 2nd Batch, if any. Be an Approved Malaysia TNA Consultant! 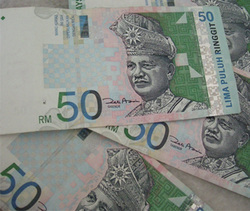 This is an exciting Year 2011 as the Malaysia Government is intensifying the recruitment of Approved TNA Consultant! Why? To enhance the momentum of retraining and skills upgrading of the workforce among qualified employers. adoption of modern management techniques. Through the advisory and consultancy services offered, it is hoped that retraining and skills upgrading will be on needs basis, both current and future needs, to ensure that employers have the required skilled workforce in the right numbers and at the right time. To assist and equip the management of Qualified Companies with training needs analysis (TNA) skills so that subsequent TNAs can be conducted by themselves. The TNA consultancy service offered for qualified employers is Free. This FREE TNA is only for Qualified Companies based in Malaysia only.